According to HURUN, for the first time in history, the first 10 richest people in the world are self-made. This article looks at the industries that produced these mega-billionaires. 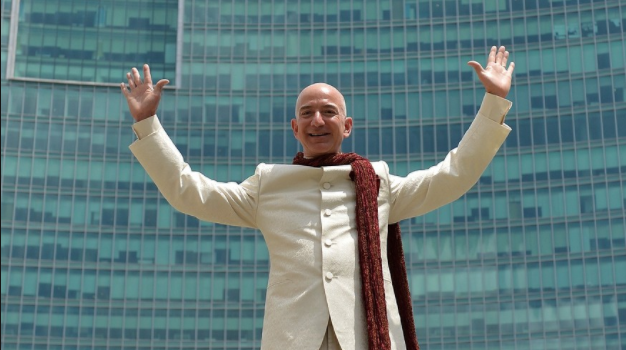 Amazon is the largest online retailer in the world when measured by revenue and market capitalisation. Founded in 1994 by Jeff Bezos who is now the richest man in the world at $123b after a 71% increase in his net worth in 2017. Warren Buffet the Chairman and CEO of this investment company, known as the sage of Omaha, due to his abilities to identify long-term values in companies. Currently the second richest man in the world at $102b net-worth despite his huge philanthropic endeavours. Berkshire Hathway investment spread across many industries including insurance, banking, transportation, manufacturing, food, etc across many nations. Some of the companies owned by this company include the insurance company GEICO, the soft-serve ice cream and fast-food restaurant Dairy Queen or DQ, the freight railroad company BNSF Railroad. The Tech household name that changed the computing game forever and has fought its way to remain relevant by constant innovation despite the consistent onslaught by rival companies. Microsoft has given the world many things including the most generous philanthropist ever, Bill Gates, the founder and the current 3rd richest man in the world with $90b net-worth. Microsoft develops computer software for consumer electronics and personal computers. The company continuing innovation meant despite advances in computing generally, Microsoft remains the world largest software maker by revenue and one of the most valuable companies on earth. Facebook gave the world social media, founded in 2004 by a group of Harvard students headed by the current CEO Mark Zuckerberg, the 4th richest man in the world with net worth of $79b. Facebook owns the messaging app WhatsApp, social content analytic company CrowdTangled and the photosharing app Instagram among many other social media companies acquired by Facebook since inception. The French multinational luxury good company, an abbreviation for Moët Hennessy Louis Vuitton was founded in 1987 in a merger of fashion and champagne. The chairman Bernard Arnault is the 5th richest man in the world with $78b net worth after buying out the remaining holding held by Dior in 2017 and increasing his net worth by 105% the same year. Inditex is the largest fashion group in the world with over 7200 stores worldwide, own by the world 6th richest man in the world Amancio Ortega with $73b net worth, increasing his wealth by 6% in 2017. He started out in fashion in the 60s and opened his first retail store alongside his wife Rosalia Mera in 1975. America Movil is the 4th largest mobile network operator in equity with 289.4 million wireless subscribers and one of the largest corporations in the world. America Movil was founded by Carlos Slim Helu in 2000, he is currently the 7th richest man in the world with net worth of $67b after seeing his fortune go up by 47% in 2017. Oracle Corporation is the second largest software developer after Microsoft and was founded by Larry Ellison in 1977. Larry Ellison is today the 8th richest in the world with $54b net worth after increasing his net worth by 13% in 2017. The online search engine giant was founded in 1996 as a research project of then PhD Students Larry Page and Sergey Brin. Founded by Michael Bloomberg in 1981, Bloomberg provides financial software tools in analytics and equity trading platform, news to financial companies and organisation. Bloomberg also has media houses in television and radio broadcasting.